Everything that has a beginning is indicative of an end at some point in time and space. At times, an extreme end applies (please bear with this very often maligned, yet innocuous collocation). So it is in the theatre of politics in Nigeria. Many times, particularly in modern political arithmetic - barring unforeseen hiccups - the end is bound to the beginning. Most watchers of political activities in Nigeria however get burdened with anxiety in their speculations on the destination of political dispensations; anxiety, owing to greater fears of failure than expectations of success at the final point of reckoning. Mr. Peter Obi's committed leadership in Anambra State has nonetheless given impetus to great expectations from political office holders not only in his state of Anambra but in the country at large. 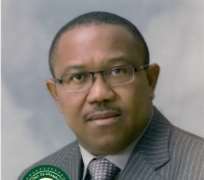 Governor Obi assumed the exalted office of the Chief Executive of Anambra State on the 17th of March, 2006. His inauguration opened novel windows in the panorama of governance. The state was opened to new ideas whose originality and potency persuaded Ndi-Anambra to reappraise the odious politics that nearly stuck as a culture in the state. March, 2006 therefore was epochal in the comprehensive turn-around in the politics, the economy and the consciousness of Ndi-Anambra. The new administration revisited the dreams of the architects of the state against the backdrop of the skewed practices that threatened it. Gov.Obi's political reengineering resulted in a strategic plan to deliver functional development to Ndi-Anambra: the Anambra Integrated Development Strategy (ANIDS). However, as a result of the long tradition of hateful politics in the state, not a few people doubted the sustainability of the plausible character of an administration superintended by an innovative helmsman with lofty conjectures. Events of the past eight years in Anambra State nevertheless tell empirical tales of stellar success achieved through Governor Peter Obi's dogged determination to drive the wheels of governance aright. Today, it is common knowledge that Anambra State boasts of the best road network countrywide. A good number of the roads are very strategic and interventional. Most of the rural settlements which had not known civilisation from Creation because of very poor or near zero access, now have well paved roads. As the roads get to the extremities of the state, so do the rural electrification scheme, the health delivery schedule and other economic and life boosting programmes of the State Government. These indices of development have led to some emergent metropolitan mini cities which serve the socioeconomic needs of a large population of Anambra citizens. Anambra State now experiences reduced burden of rural-urban migration as a consequence. The education and health sectors which were hitherto grossly abandoned in the state have received immense enhancement. Governor Obi discovered and latched onto critical partnerships with functional agents of positive change in society. His effective deployment of tip entrepreneurial acumen in governance fostered the ingenious interface between acclaimed international development donor agencies like the World Bank, UNDP, WHO, UNICEF, UNESCO, Bill and Milinda Gate, among other organizations, and Anambra State Government in the comprehensive development of the state. These relationships have not only resulted in improved funding but also in effective monitoring of the target programmes. Some of these schemes which came on stream in the first tenure of Gov. Obi's administration are receiving tremendous boost in the course of his second tenure. Anambra State's lofty scores in the education and health sectors have been tremendously enhanced by the governor's bold step of returning the management of missionary schools to their original owners; and his elaborate funding of missionary hospitals which he considers as effective complementary providers of medical services to Ndi-Anambra. These are done alongside the remarkable upgrade of general hospitals and public schools. The present state of Queen of the Rosary College, Onitsha; Anglican Girls' Secondary School, Nnewi; Girls' Secondary School, Awka; Comprehensive Secondary School, Nawfia; Girls' Secondary School, Agulu; St. John of God Secondary School, Awka among many others is plausible commendation of the efforts of the State Government. It is noteworthy that while government returned the schools, it still takes the responsibility of paying salaries and other fiscal entitlements of the teachers. The return of schools has evidently improved character and learning among the pupils and students in the state. Anambra State now records enviable results among its peers in WAEC and school academic competitions. As Gov. Obi winds up his eight years of governance, the divisive seams seem to dismember between his acrid critics and avid admirers amid the puzzle engendered by the incremental tempo of unprecedented developmental activities in the state. Never before has it happened in this clime that a government in the twilight of its reign indulges no recesses but works as if against time to harness the task of consolidating the tides of development which it set for itself. About six months to the end of his administration, Gov. Obi announced availability of over N45bn to be put into further infrastructural development before his exit. He has since then stepped up the pace towards attainment of his vision. Funds running into many more billions of Naira have been released for the upgrade of health institutions, hospitals, schools, colleges and universities, as well as for youth empowerment, alleviation of abject poverty, assistance for the physically challenged and mitigation of the pains of indigent aging. As Gov. Obi exits office few weeks away, new road projects are springing up across the state while work continues unabated in existing project sites: Ozubulu to Atani road with three large bridges already completed; Amansea through Ebenebe, Ugbenu, Ugbene to other towns in Awka North Local Government Area – with completed Ezu Bridge and other bridges under construction. Indeed, Anambra State gives the impression of a huge amalgam of multi-construction sites. Recent visits to Iyi-enu Hospital, Ogidi; Our Lady of Lourdes Hospital, Ihiala; Holy Child Hospital (Waterside), Onitsha; St. Charles Borromeo Hospital, Onitsha; St. Joseph's Hospital, Adazi-Nnukwu; Chukwuemeka Odumegwu-Ojukwu University Teaching Hospital among other healthcare concerns justify the enormous resources that Anambra State Government has deployed in the health sector, particularly in the extreme end of this political dispensation. Okechukwu Anarado writes from Adazi-Nnukwu. Disclaimer: "The views/contents expressed in this article are the sole responsibility of Okechukwu Anarado and do not necessarily reflect those of The Nigerian Voice. The Nigerian Voice will not be responsible or liable for any inaccurate or incorrect statements contained in this article."